Disclaimer: I was invited to dine in this restaurant but all opinion expressed is genuinely mine. 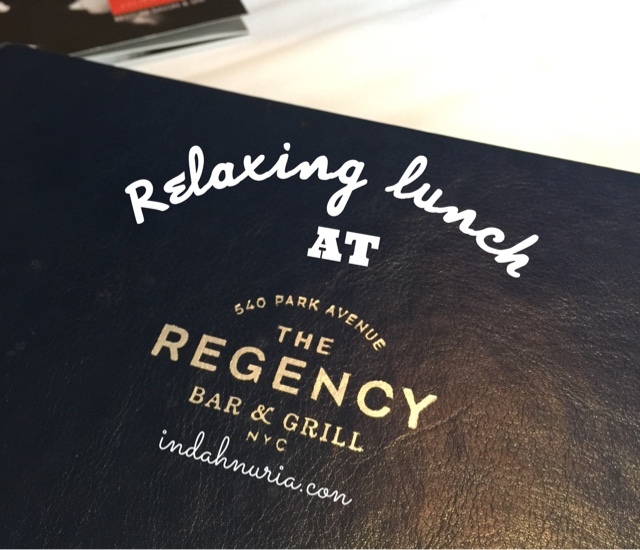 What can beat great food, cozy place and lovely company in one relaxing lunch break in the Big Apple? With tons of eating spots to explore, NYC is indeed a haven for foodie like me. And everyone else who fancy yummy food and wonderful eateries. And I have to say, I really take some times and efforts to try all those fantastic eating spots scattered around NYC. Oh my...while looking at my happy tummy (and bigger and bigger belly >_<), I will be more than happy to share my findings here. And now, I have Regency Bar & Grill NYC. Has anyone been here before? Located in the beautiful Park Avenue area, I have the priviledged to have a lovely lunch with my colleague, Meredith. And how we had fun indeed. Greeted warmly as we stepped into the restaurant, I love the fact that the reataurantbwas not too crowded. Giving you the sense of one cozy corner at home. Wanna know what I choose to have? 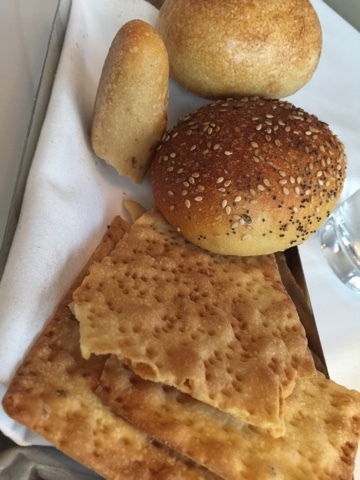 While waiting for our food, we enjoyed these fresh roll and delicious yummy olive bread and crispy, cheesy bread. You can tell when it was fresh, finest quality were used to create all these yummy food. And they are indeed. 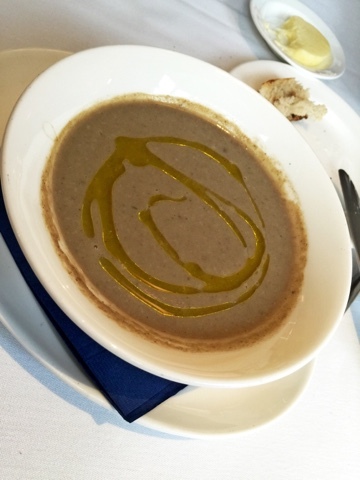 Then as a starter, I chose creamy mushroom. For sure it's the right choice! As I slowly sipped the rich mixture of mushroom, cream and herbs and oliveoil on top, I truly enjoy it till the last drop. Then came my main course.. Already spreading a tantalizing aroma even from afar. 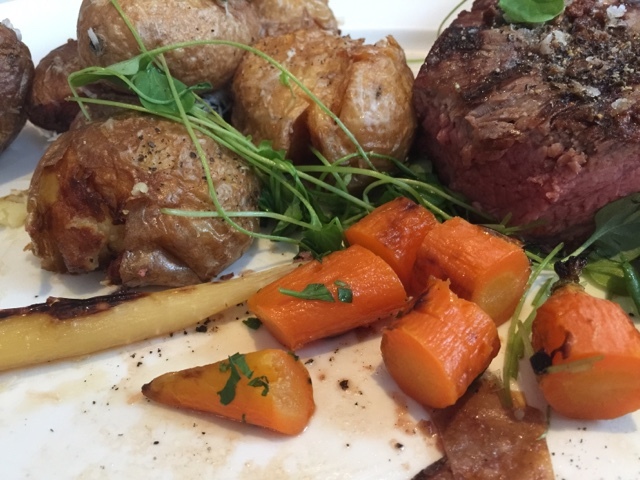 Perfectly baked for rare, with pinky mead inside, the steak was juicy. Saignon, my fave. And, as a colorful person, I sure love to see the bright orange baby carrots on my plate. Perfectly grilled and saluted with honey, I devour it earnestly. 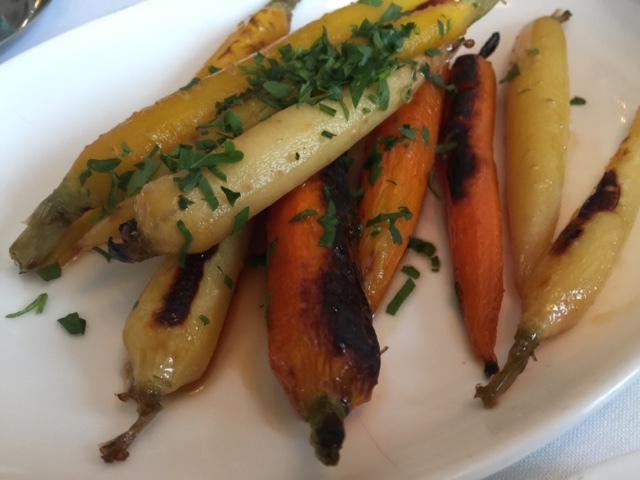 This additional roasted baby carrots with honey were just perfect! 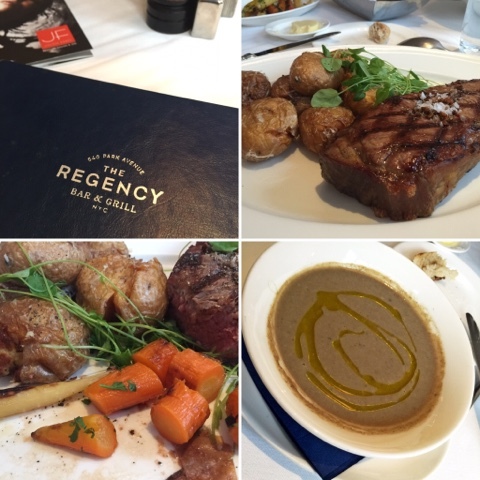 So, in short, Regency Grill and Bar is highly recommended! So, don't hesitate to come and visit the place for your wonderful eating experience. Panggang jadi punggung. Wkwkwk. Oke sip, aku coba besok. you should take me here as well..
Thx for intruducing lovely Brooklyn through ur pictures. blognya english semua ya mbak kece...breast cancer fighter ya mbak ?salut deh. Iyaaa mba tanty...the food here is soooo delicious..
Steaknya. Kami sekeluarga walaupun sudah endut2 tetep suka streak. 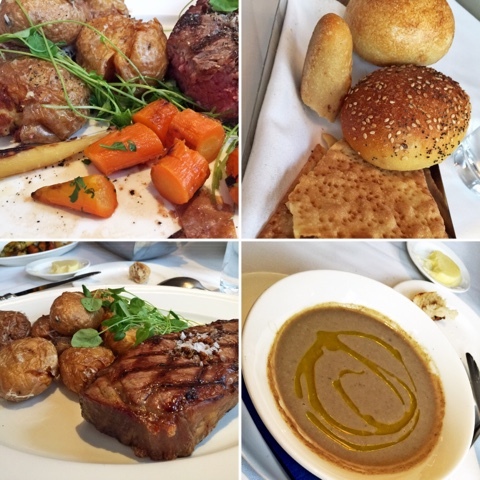 My goodness, my mouth is watering at all the delicious food! 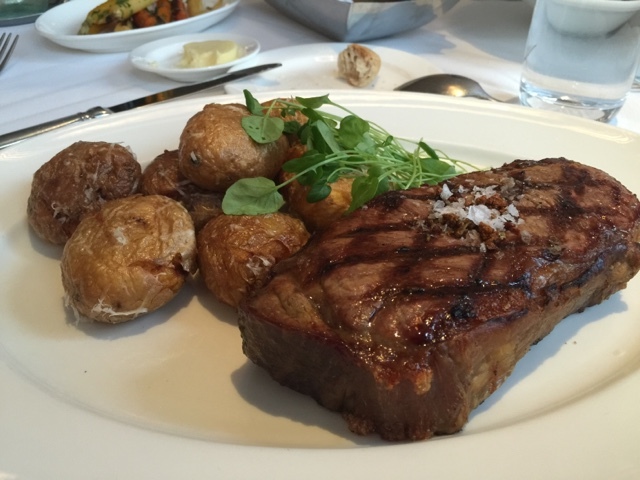 That steak looks so juicy good, I wish I had one right now!